Creative Video: Radiohead's "House of Cards"
Radiohead’s music video for its song “House of Cards” (from the Rainbows album) was made without cameras or lights. Instead, Geometric Informatics (structured light) and Velodyne LIDAR (multiple lasers) were used to produce.. 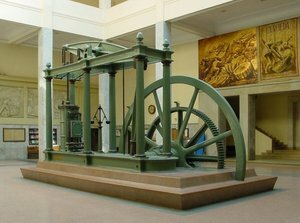 The Industrial Revolution, during the late 18th and early 19th centuries, brought with it significant changes in agriculture, manufacturing, and transportation. In the latter part of the 18th century, the labor-intensive ec..